The intergovernmental Barents cooperation was initiated by Norway under foreign minister Thorvald Stoltenberg after the fall of the Soviet Union; and it was formalized when the Foreign Ministers of Norway, Russia, Finland, Sweden and representatives of Denmark, Iceland and the European Commission signed the Kirkenes Declaration on 11 January 1993. On the same occasion, representatives of 13 member regions, governors and their equivalents, together with representatives of the indigenous peoples, signed a protocol of cooperation that established the Barents Regional Council as a forum to promote interregional contacts in the northernmost parts of Norway, Russia, Finland and Sweden and work together for the development of the Barents Region. The Barents regional cooperation includes now 14 regions and counties: Nordland, Troms, Finnmark in Norway, Västerbotten County, Norrbotten County in Sweden, Lapland region, Northern Ostrobothnia, Kainuu, North Karelia (from 2017) in Finland, and Murmansk Oblast, Arkhangelsk Oblast, Komi Republic, Republic of Karelia, Nenets Autonomous Okrug in Russia. This is the largest region of interregional cooperation. The Barents Cooperation promotes people-to-people contacts and economic development and creates good conditions for interregional exchange in many different fields; e.g., culture, indigenous peoples, education, youth, trade, information, environment, health and transport. The Barents Cooperation is regarded as an integral part of creating a stable, democratic and prosperous Europe. The four countries take turns at chairing the cooperation. 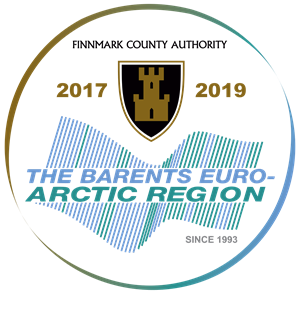 In January 2008, there was established an International Barents Secretariat, which is to provide technical support for the multilateral coordinated activities within the framework of the Barents Euro-Arctic Council and the Barents Regional Council. This Secretariat is located in Kirkenes in the same building as the Norwegian Barents Secretariat.